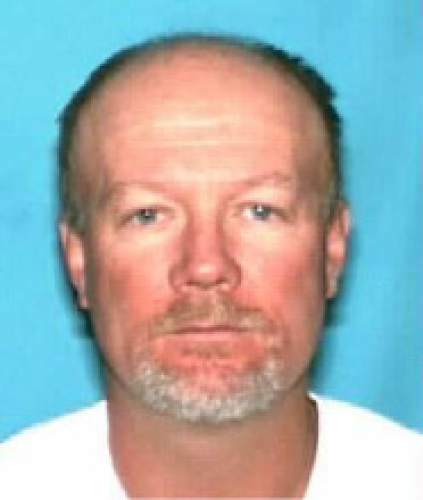 Crime • Father, son duo arrested without incident in Wyoming after regional manhunt. Following an all-day search Saturday, both the father and son suspected of a Centerville kidnapping and assault were arrested without incident in Wyoming. Dereck "D.J." 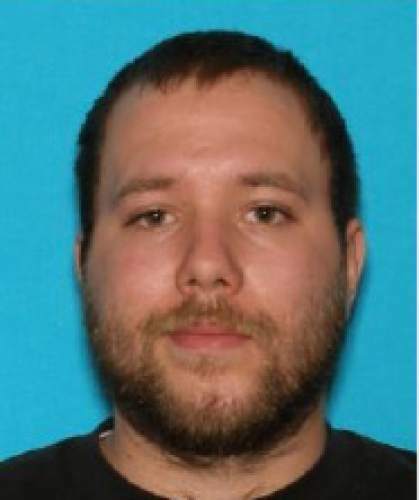 James Harrison, the 22-year-old son of Flint Wayne Harrison, was taken into custody at about 10 p.m. near Half Moon Lake and booked into the Sublette County jail, according to a press release from the Sublette County Sheriff&apos;s Office. The arrest followed a day-long search for the younger Harrison after his 51-year-old father turned himself in at 1:45 a.m. Saturday morning. The search had been called off for the night at about 8:30 p.m., but Centerville Police Lt. Von Steenblik said law enforcement officers were still patrolling the road bordering the area where Dereck Harrison was suspected to be. According to Steenblik, a U.S. Forest Service officer was driving around a corner in the road and saw a man matching the description of Dereck Harrison walking south towards the deputies approximately 1.5 miles from where the roadblock was located. The officer got out of his car, gave Derek Harrison commands, and he cooperated without running away or fighting. The younger Harrison had previously been reported as being armed and "extremely dangerous," but Steenblik said the weapons described were either "made up" by Flint Harrison or had been "ditched" on the mountain. Dereck Harrison was booked into the Sublette County jail Saturday night. Steenblik said he and another officer tried to interview him, but he refused to talk. "This is an incredible end to a very stressful day," Sublette Sheriff Stephen Haskell said. "Watching the coordination of our agencies working together was phenomenal. We have incredibly skilled officers in our area and it was a very good end to something that could have gone very badly." Search crews had been looking for Dereck Harrison since dawn Saturday morning, both on the ground and from the air. 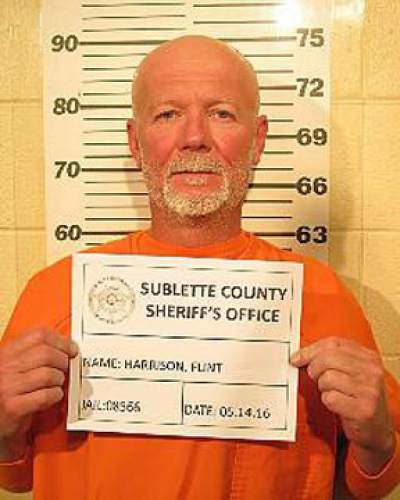 Flint Harrison turned himself into the Sublette County Detention Center early that morning on warrants stemming from his part in the incident that occurred in Centerville. 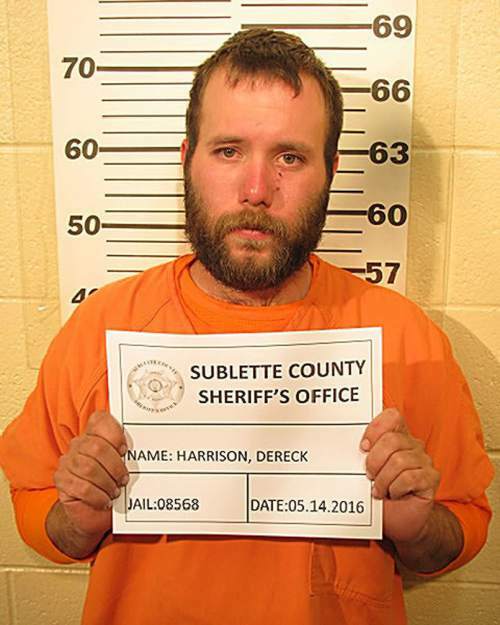 Sublette County law enforcement says the two Harrisons will most likely be extradited to Utah to face charges for the kidnapping and assault. It is unknown whether they will face additional charges in Wyoming. The two are being held without bail in the Sublette County jail. Steenblik said Dereck Harrison&apos;s mother, Maryann Harrison, and his maternal grandmother, Marilyn Brown, came to the Wyoming jail Saturday night with money to try and bail out both the son and his father. 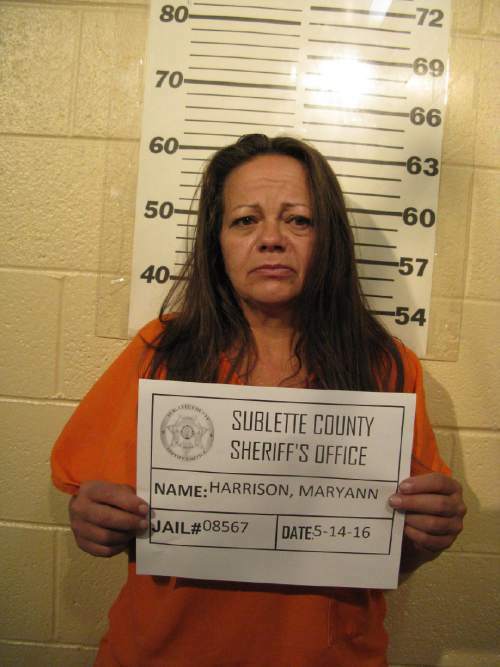 Steenblik said Maryann Harrison was "causing real problems" and was in violation of her own Utah parole. She was arrested and booked into the same jail as her son. "We&apos;re really happy that it ended up this way, both one surrender and one being caught without ... violence that was threatened. We can move on with the case in the court," Steenblik said.